Melbourne's population has been booming for a decade, but not like this. In the year to last June, the Bureau of Statistics estimates that almost a third of Australia's population growth crowded into Melbourne – 108,000 more people. No Australian city has experienced growth on this scale before. Migration is driving the city's growth. And right now, what is happening is different from what policy makers and analysts had assumed was happening: high immigration and population growth roughly spread across the nation, or at least across the four biggest cities. But now, in most of Australia, population growth and immigration are back to average levels. We are taking 37 per cent of the nation's population growth. In the year to June 2016, 138,000 migrants settled in Victoria, permanently or for the long term. 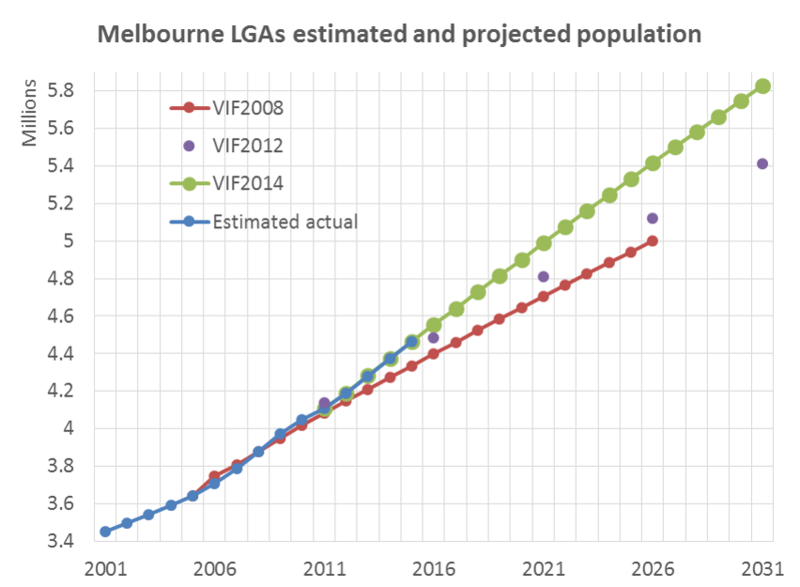 In just 15 years, Melbourne's population has grown by a third. The Bureau of Statistics estimates that in the 10 years to June 2016, the population of greater Melbourne grew by 880,876, or 23.4 per cent. In a decade, the city added almost a quarter to its population. Rising population means demand for more housing, and usually reflects in rising prices. But most of the popular inner suburbs such as Malvern, Fitzroy and Richmond etc have quite strict height restrictions, meaning oversupply will be unlikely in these areas, especially given site for new development are very hard to find. These are prime areas to make real estate investment in. The Bureau of Statistics' estimates imply that between 2006 and 2016, the population living within 10 kilometres of the GPO grew by about 200,000 or 24 per cent. Another tip for investors is to buy along tram or train routes. Planners such as Melbourne City Council's Rob Adams have long urged redevelopment around railway stations and along tram routes to maximise the opportunities for population growth to be located where it can be best served by public transport, rather than forcing people to use cars in areas where road space is inevitably limited. That could be the next phase as continued population growth presses in on the middle suburbs and investors able to jump in early stand to gain the most asVictoria's self-imposed restrictions on new transport investment mean many new stations will not happen for 20 years. The Andrews government has lifted its spending on Victoria's transport infrastructure, and improved its quality. But the state's transport investment is still modest, and the Abbott and Turnbull governments have sharply cut their contributions. Victoria has been allocated just 9 per cent of the Turnbull government's transport investment in 2016-17, whereas 39 per cent will be spent in the Prime Minister's home state of New South Wales. So find an apartment that is already on tram or rail lines. Rapid population growth is a mixed blessing. It adds to the richness and diversity of urban life, but also to its costs and frustrations. It increases pressure on housing prices. The federal government has set an immigration target of more than 200,000 permanent migrants a year, plus more than a million residents on temporary visas. Where will all these people live?